DC Health Department confirms norovirus outbreak at Hospital for Sick Children FOX 5 DC The D.C. Health Department confirmed on Saturday that the Hospital for Sick Children is dealing with an outbreak of norovirus. Twelve sickened by norovirus-like illness associated with Auburn Dave & Buster’s KIRO Seattle King County Public Health is investigating an outbreak of a norovirus-like illness associated with Dave & Buster’s restaurant in Auburn. 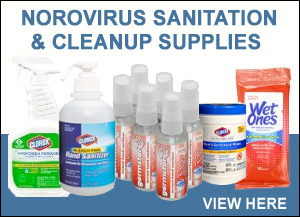 Seattle area restaurant’s employees and patrons connected to norovirus outbreak Food Safety News Seattle-King County Public Health is investigating an outbreak of norovirus-like illness with vomiting, diarrhea, body aches, chills, and fever associated. Vaxart starts dosing in Phase Ib trial of norovirus vaccine Drug Development Technology Vaxart has commenced dosing of patients in the randomised cohort of a Phase Ib trial of its bivalent norovirus vaccine meant for administration via tablet. Living Center: no visitors due to norovirus | This Just In Jackson Hole News&Guide St. John’s Living Center is currently closed to visitors as a safety precaution following indications that norovirus may be present. What’s going around: Norovirus WKOW If you or anyone you know is calling in sick for a stomach bug, you’re not alone.